A small town, a big party, a stolen gift. When an artefact from the Titanic is stolen before her town's 150th anniversary celebration, it's up to Lois Stone to catch the thief. Middle-aged widow Lois has moved from bustling Toronto to tranquil Fenwater and is settling into her new life away from the dangers of the city. Then two events happen that shatter her serenity: her house is burgled and an antique watch belonging to a Titanic survivor is stolen from the local museum. Her best friend, Marge, was responsible for the watch's safekeeping until its official presentation to the museum at the town's 150th anniversary party, and its disappearance will jeopardise her job and the museum's future. Lois won't let her friend take the blame and the consequences for the theft. She's determined to find the watch in time to save her best friend's job, the museum's future and the town's 150th anniversary celebration. And so begins a week of new friends, apple and cinnamon muffins, calico cats, midnight intruders, shadowy caprine companions and more than one person with a reason to steal the watch, set against the backdrop of century houses on leafy residential streets, the swirling melodies of bagpipes, a shimmering heat haze and the burble of cool water. A few of your favorite things: Tortoiseshell cats, miniature goats, my Kindle, rocking chairs, wooden floors. Things you need to throw out: Clothes that I’ve had for more than two decades, old magazines that I’ve already read (or sometimes haven’t read), Christmas cards I received last year. Things you need in order to write: Laptop, copy of the story’s plot outline. Things that hamper your writing: My cats begging for attention, loud conversations nearby. Things you love about writing: Creating and developing stories and characters that eventually become what you imagined they would be. Things you hate about writing: The writing and revising needed to get the story and characters to the point where they are as real to readers as they are in my head. Things you love about where you live: The tranquil rolling hills, wild deer that loiter near the house, hares that hop along the lane past the front door, silence. Things that make you want to move: Cold rain and high winds that batter our house in winter, the distance I must travel to attend a concert or see a film. Words that describe you: Quiet, creative, quirky. Words that describe you but you wish they didn’t: Impatient, forthright. Favorite foods: Moussaka, treacle bread, anything with cinnamon or maple syrup on or in it. Things that make you want to throw up: Anchovies on pizza, cooked liver. Favorite music or song: Irish and Scottish folk music, songs by Bruce Springsteen, Rod Stewart and Eva Cassidy. Music that make your ears bleed: Trance and techno. Something that gives you a pickle face: Ouzo. Something that makes you hold your nose: Liver cooking. Things you’d walk a mile for: Chocolates, mocha ice cream. Things that make you want to run screaming from the room: Wasps. Things to say to an author if you want to be fictionally killed off in their next book: Why did it take you so long to write that book? You must be making a fortune from your writing. Favorite places you’ve been: Port Stewart, Northern Ireland; Otter Lake, Ontario, Canada; Grindelwald, Switzerland; St Gilgen, Austria. Places you never want to go to again: Algonquin Park, Canada during blackfly season, the top of Croagh Patrick, Ireland on a foggy day, Lake District, England on a wet, windy day. Books you would ban: Novels that contain extremely graphic violence. Favorite things to do: Hiking, swimming, reading in front of the fire, cuddling my cats. Things you’d run through a fire wearing gasoline pants to get out of doing: Housework, public speaking. Things that drive you crazy: Grocery shopping, sitting in traffic jams, cleaning the bathroom. Something you chickened out from doing: Crossing Carrick-a-Rede rope bridge in Northern Ireland. Something you’ll never do again: kiss the Blarney Stone, try to walk or drive through a snow drift. 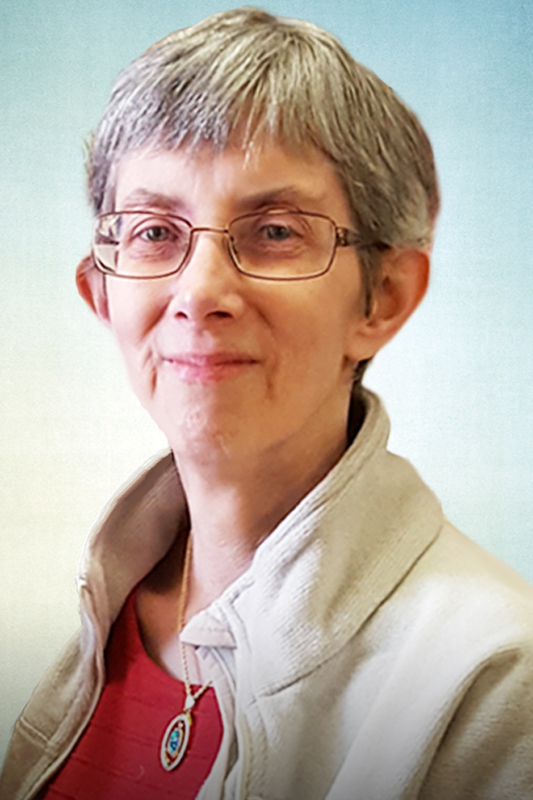 Dianne Ascroft is a Canadian who has settled in rural Northern Ireland. She and her husband live on a small farm with an assortment of strong willed animals. In her spare time she enjoys sitting in front of a roaring fire, wandering the countryside and listening to Scottish and Irish traditional music. 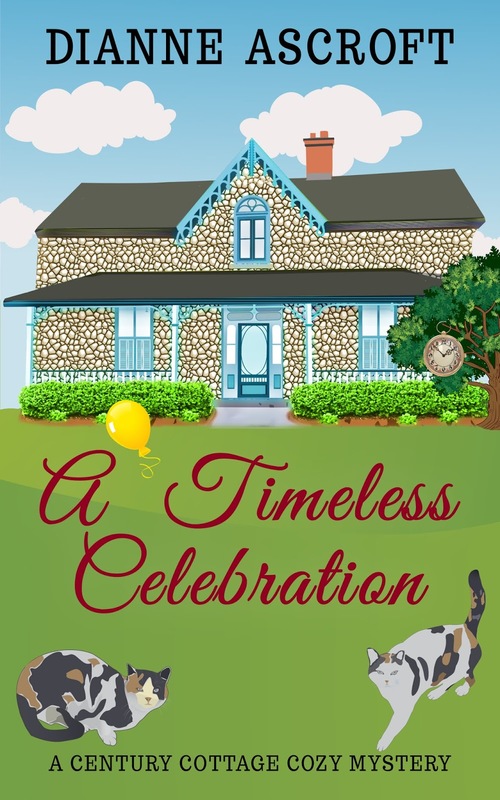 A Timeless Celebration is the first novel in the Century Cottage Cozy Mysteries series. Her previous fiction works include The Yankee Years series of novels and short reads, set in Northern Ireland during the Second World War; An Unbidden Visitor (a tale inspired by County Fermanagh’s famous Coonian ghost); Dancing Shadows, Tramping Hooves: A Collection of Short Stories (contemporary tales), and an historical novel, Hitler and Mars Bars, which explores Operation Shamrock, a little known Irish Red Cross humanitarian endeavour.